Zynga has announced the release of a new line of mobile games building on their popular “With Friends” (Words With Friends, Hanging With Friends, Scramble With Friends, Matching with Friends) line and the recent buzz over using your phone while driving: the “With Friends While Driving” line (Words With Friends While Driving, Hanging With Friends While Driving, Scramble With Friends While Driving, Matching with Friends While Driving)! GPS/Sat Nav, texting, and taking videos while driving have been on the rise over the last few years. This just makes sense, why use a GPS device if you have a phone with navigation, why pay for XM radio when you can just stream Pandora, why not play a game with your friends while driving? We know you’ve been playing our games while driving, and based on user feedback we have developed a ground-breaking new interface that makes it easy to play our games and occasionally glance up at the road in front of you and your vehicle. By using light colors we’ve lowered the risk of car sickness, and being able to tap or double-tap tiles rather than drag means that even motorcyclists can play with just one hand. I am super excited about this. I don’t know about you but I do a good mix of city and freeway driving, and whether I am in traffic on the freeway, or speeding a little (I know the limit is 65 mph, but 75 mph gets me there so much quicker), or making my way through neighborhoods and shopping areas I am constantly talking, texting, watching videos, checking Google+, Twitter, and Facebook, and browsing online. Now that I have an interface optimized for playing a game while driving I’ll definitely add that to my list of things to do while driving! This is a satirical piece, a-la “A Modest Proposal” or “Onion News”. There is no Steven Delpt, and Zynga doesn’t have games optimized for use while driving. Texting, gaming, other on-screen activities, even talking while driving distracts the driver. More and more people are injured or killed by these activities each week. To my knowledge Zynga, or any reasonable person on this planet, does not condone, recommend, or promote the use of mobile devices while driving. 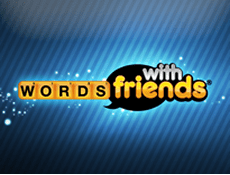 I really enjoy playing the Zynga “With Friends” games, Scramble with Friends is currently my favorite, but I also play Hanging with Friends and Words with Friends. I am waiting for Matching with Friends to be available on Android. Is anyone else surprised that Draw Something hasn’t been rebranded as “Drawing with Friends”?